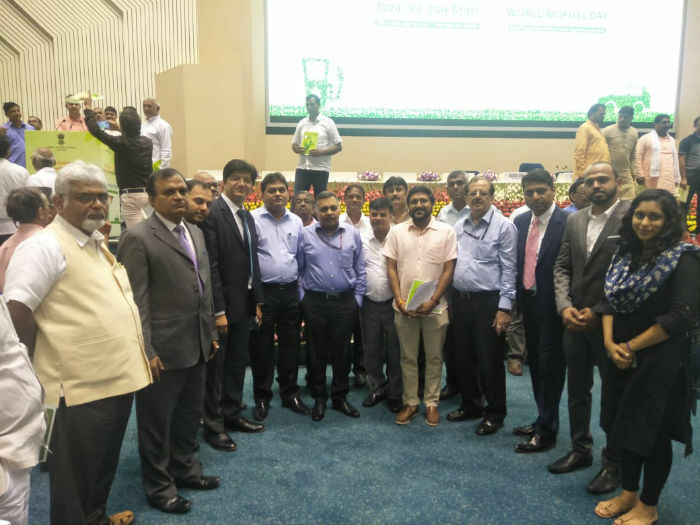 Biofuels in India are of strategic importance as it augers well with the ongoing initiatives of the Government such as Make in India, Swachh Bharat Abhiyan, Skill Development. 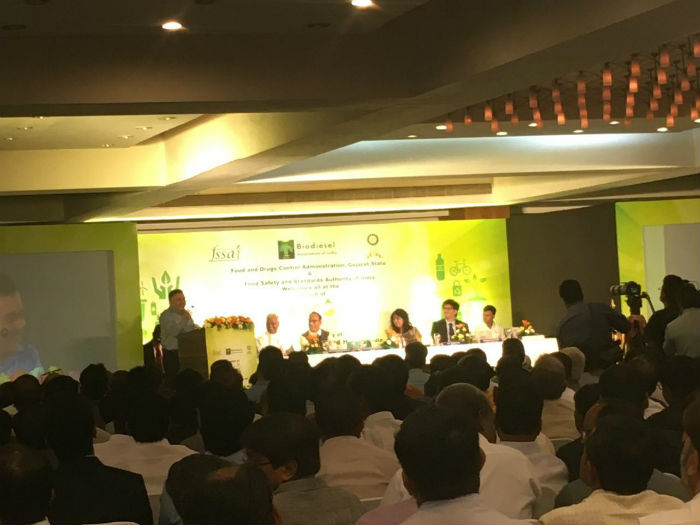 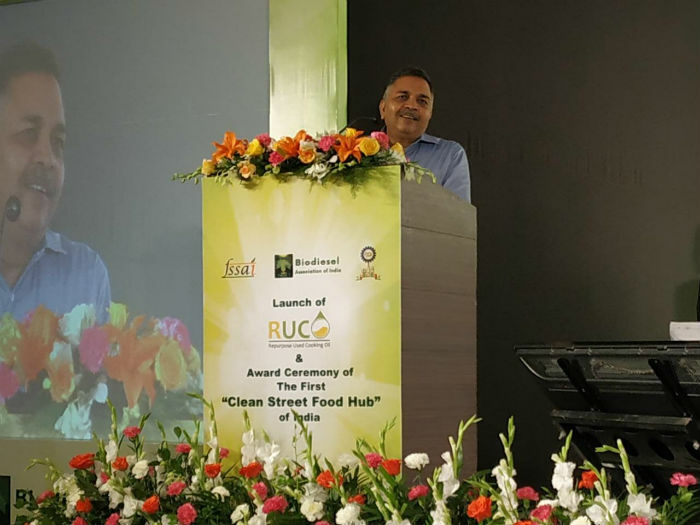 FSSAI is implementing an EEE Strategy - Education Enforcement Ecosystem to divert Used Cooking Oil from the food value chain and curb current illegal practices. 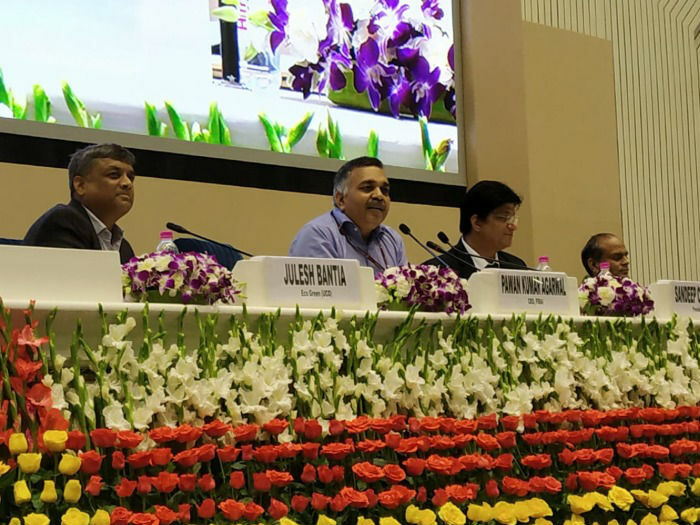 The EEE Strategy approach ensures good health and welfare for all 130-crore citizens, aiding energy security, climate change mitigation, and leading to environmentally sustainable development. 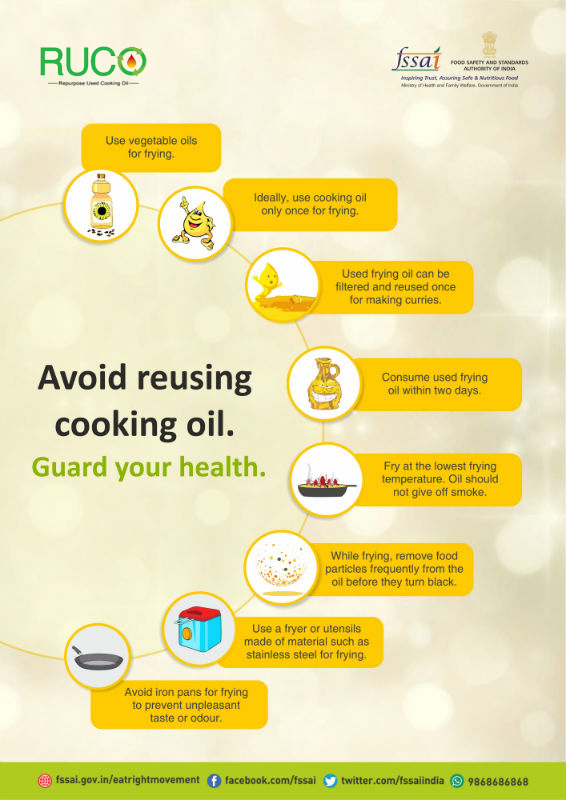 The consumption of Used Cooking Oil(UCO) poses adverse health effects. 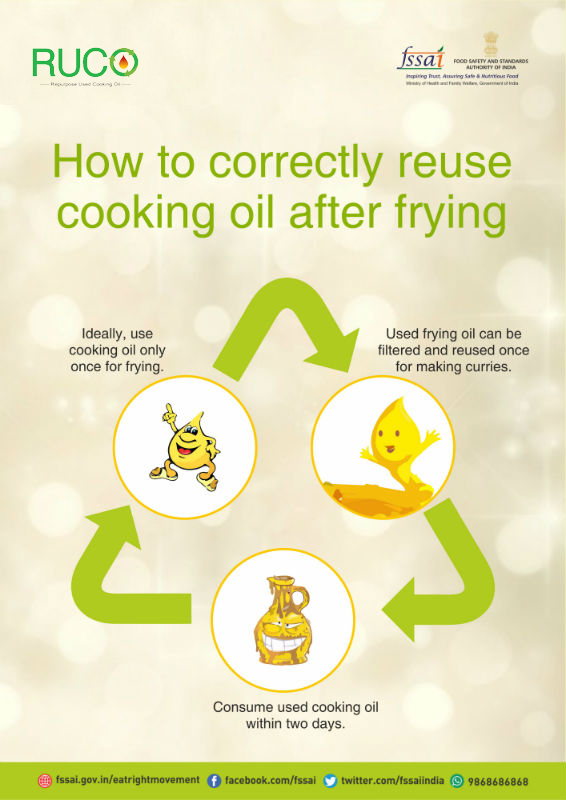 During frying, several properties of oil are altered, Total Polar Compounds(TPC) are formed on repeated frying. 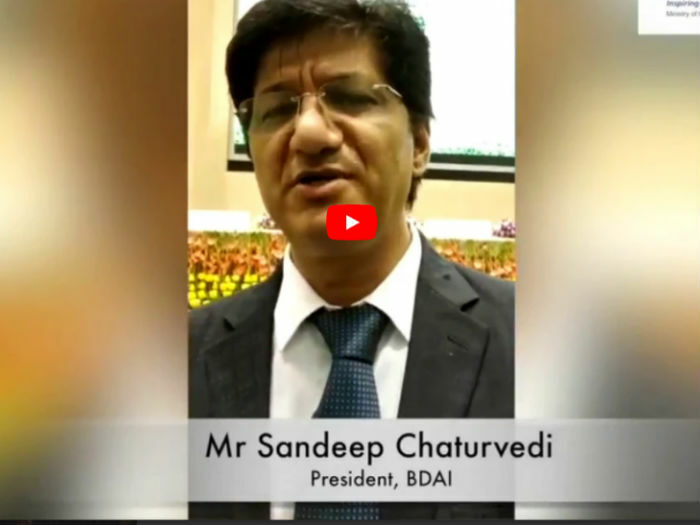 The toxicity of these compounds is associated with several diseases such as hypertension, atherosclerosis, Alzheimer’s disease, liver diseases. 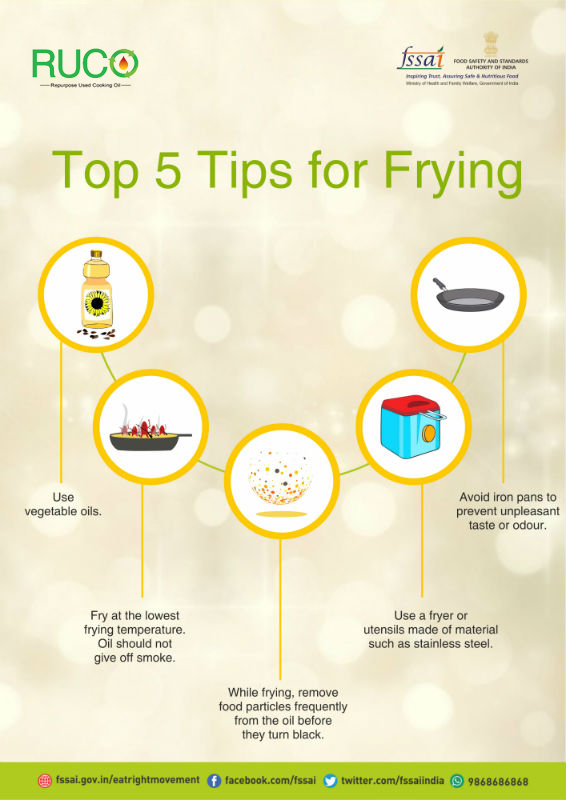 Therefore, it is essential to monitor the quality of vegetable oils during frying. 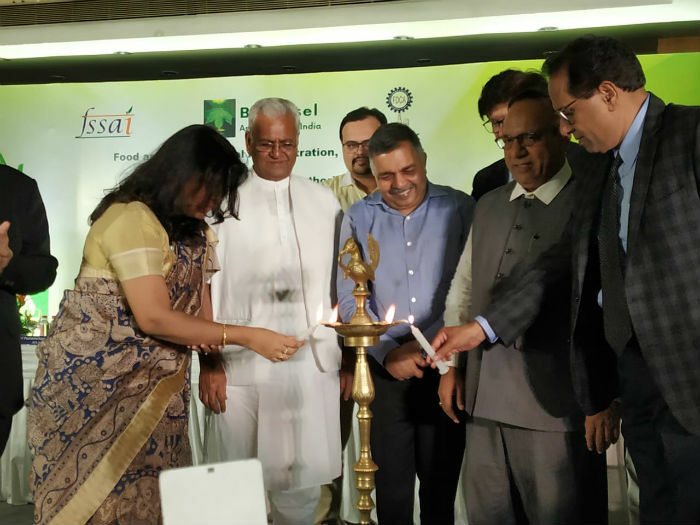 In order to safeguard consumer health, FSSAI has fixed a limit for Total Polar Compounds at 25 percent beyond which the vegetable oil shall not be used. 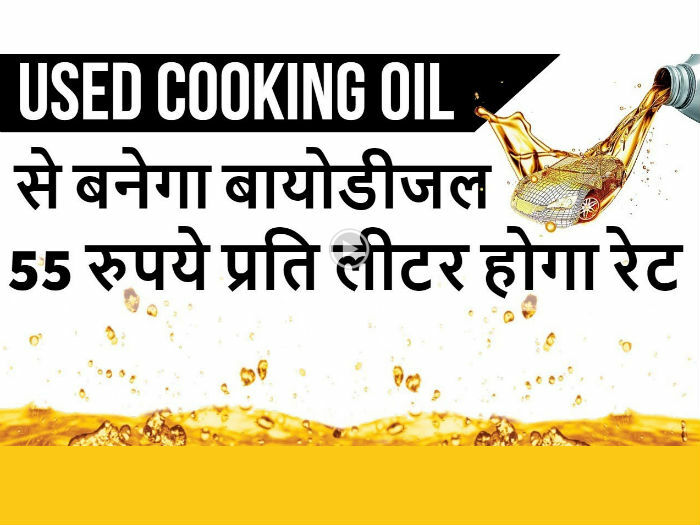 From 1st July, 2018 onwards, all Food Business Operators (FBOs) are required to monitor the quality of oil during frying by complying with the said regulations. 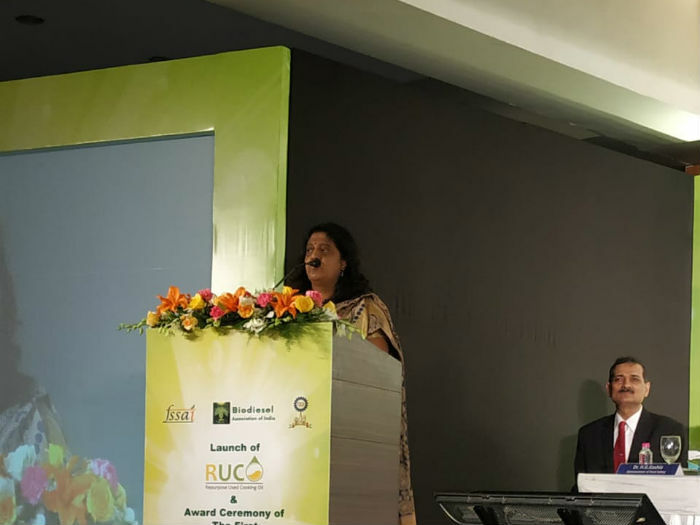 Repurpose Used Cooking Oil (RUCO) is an ecosystem that will enable the collection and conversion of UCO to biodiesel.